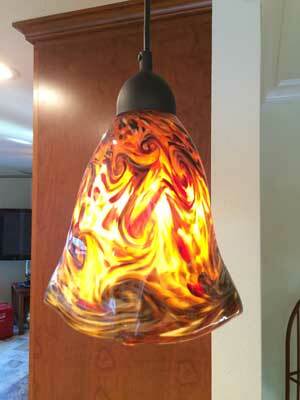 Commissioned hand made lamp shades offer a unique alternative to the manufacted ones typically available in stores. I enjoy working with clients to bring their specific vision into reality. This is a partner process in which color, shape, and the general “look” are considered. The goal is to produce a custom expression of the client’s aesthetic that will illuminate their home. For lamp shade commissions, the first step is a personal consultation to discuss ideas and a plan. Then the client procures the hardware. Although I do not provide the fixtures I can offer advice based on my experience. I then measure the hardware and create a prototype lamp shade to fit. On approval, the comission is completed and mounted to the hardware. For my most recent commission I was asked to create a set of 3 pendant lamps for a new kitchen that was renovated in the mission style. The clients wanted colors to go with the granite counter tops and a pyramid shape which is a departure from usual rounded pendant shade style. 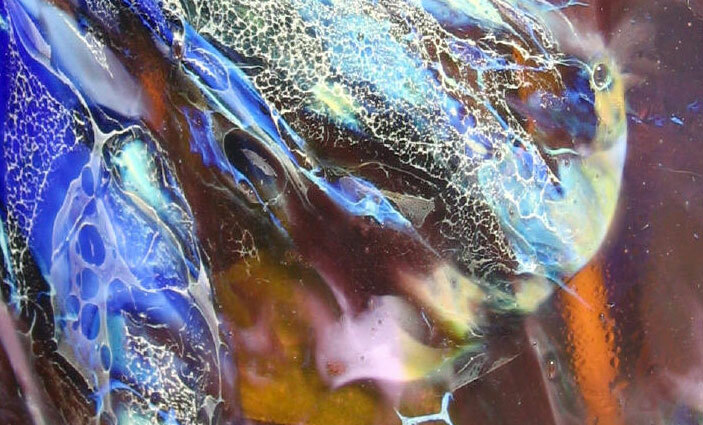 Getting a squared shape out of blown glass was challenging. It was necessary to develop a new tool that I could use to form the bottom of the pieces. I love taking on this sort of project because it stretches me to access new techniques and ideas. 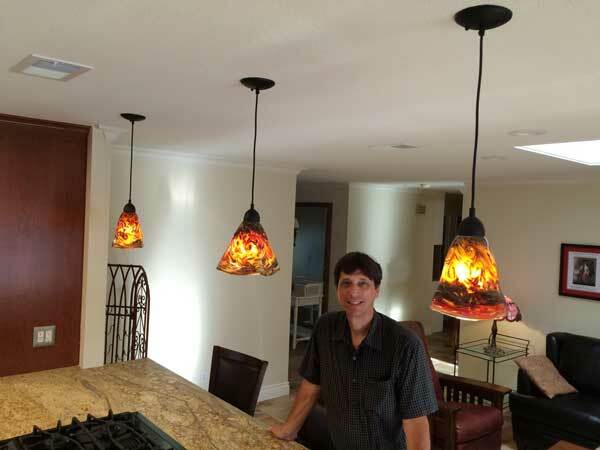 The result was the set of three pendant lamp shades you see in the photos and video below. Here is the client review….